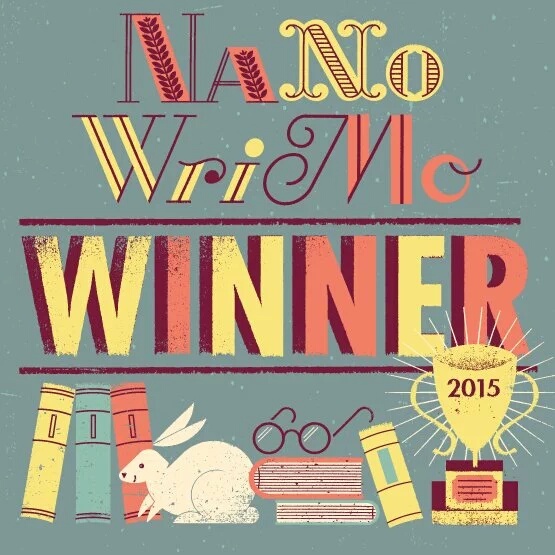 There have been no blog posts this month, because I was writing 50,000 words of a novel in 30 days for NaNoWriMo. Despite life and health issues out of the gate, I won. 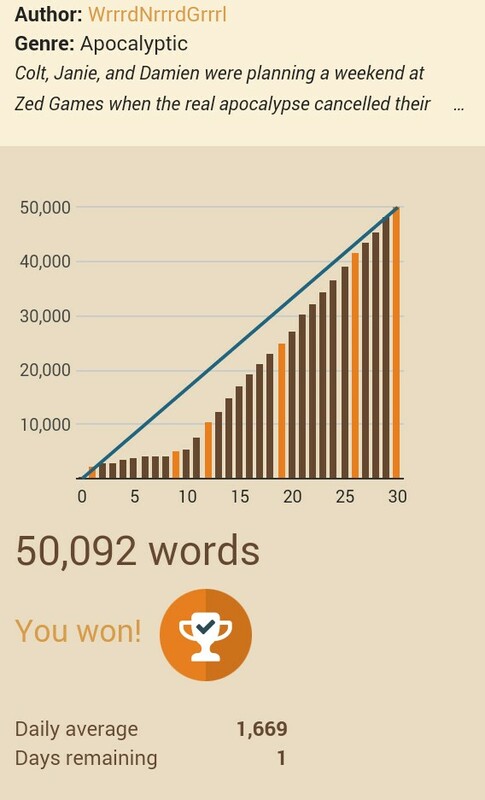 But now I have 50,000 words of the second Planetary Tarantella book done. The first draft will be finished by the end of the year, and then be subjected to the “Shoved Out of Sight for Three Months” treatment before being revised, edited, and released into the wild. Thank you for your patience. Your regularly scheduled Rachel returns tomorrow.